Use this effective system to monitor staff movements. 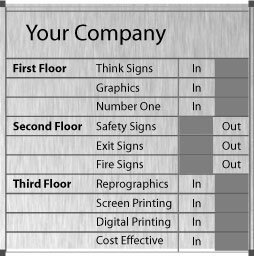 Ideal for identiying departments or companies and people within a building. Sign system is made from anodised aluminium.